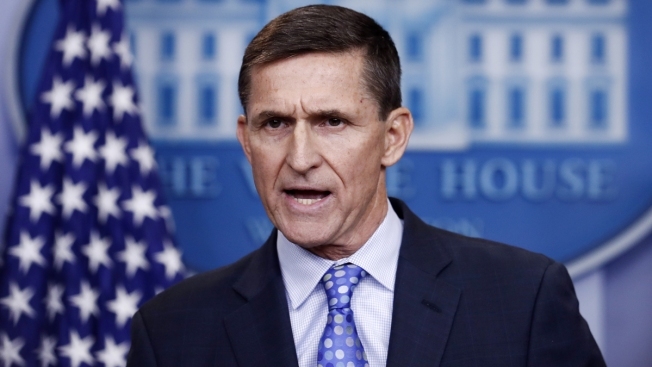 This Feb. 1, 2017, file photo shows national security adviser Michael Flynn speak during the daily news briefing at the White House, in Washington. The Democrat-led House oversight committee launched an investigation Tuesday into whether senior officials in President Donald Trump’s White House worked to transfer nuclear power technology to Saudi Arabia as part of a deal that would financially benefit prominent Trump supporters. The proposal was pushed by Flynn, who was fired in early 2017. Senior White House officials pushed a project to share nuclear power technology with Saudi Arabia despite the objections of ethics and national security officials, according to a new congressional report citing whistleblowers within the Trump administration. Lawmakers from both parties have expressed concerns that Saudi Arabia could develop nuclear weapons if the U.S. technology were transferred without proper safeguards. Rep. Elijah Cummings of Maryland, the chairman of the House Oversight and Reform Committee, announced the investigation Tuesday. Relying on the whistleblower accounts, email communications and other documents , the committee's report details how NSC and ethics officials repeatedly warned that the actions of Flynn and a senior aide could run afoul of federal conflicts of interest law and statutes governing the transfer of nuclear technology to foreign powers. "Mr. Barrack's engagement in investment and business development throughout the Middle East for the purpose of better aligned Middle East and U.S. objectives are well known, as are his more than four decades of respected relationships throughout the region," the statement said, noting that Barrack never joined the Trump administration. 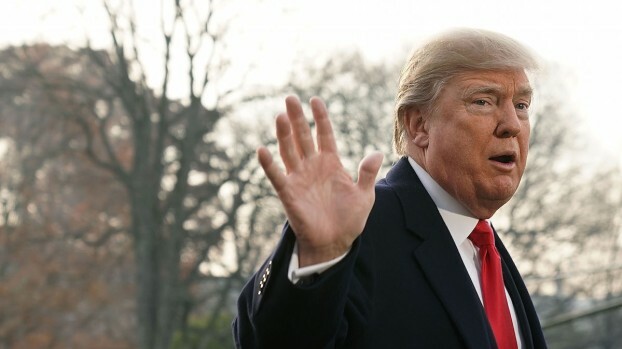 When asked if he would pardon former national security adviser Michael Flynn, who pleaded guilty to lying to the FBI, President Donald Trump said, "We'll see what happens." According to the report, the whistleblowers came to the committee because they had concerns "about efforts inside the White House to rush the transfer of highly sensitive U.S. nuclear technology to Saudi Arabia in potential violation of the Atomic Energy Act and without review by Congress as required by law — efforts that may be ongoing to this day." IP3 is led by a group of retired U.S. military officers and national security officials, including retired Rear Adm. Michael Hewitt, retired Army Gen. Jack Keane and former Reagan National Security Adviser Bud McFarlane. IP3 and other proponents of nuclear power in the Middle East argue that the U.S. needs to be involved because otherwise it will lose out to Russia, China and others on billions of dollars in business. They also say that U.S. involvement — and the limits on nuclear fuel that come with it— are essential to stem an arms race in the region. "The only way to address concerns over development of weapons of mass destruction is for the U.S. to participate in the introduction and secure operation of international nuclear power plants," the company said in a statement Tuesday. It also said it "looks forward to sharing what we know" with the House committee. Up until the month before he joined the Trump administration, Flynn listed himself on public documents as an adviser to an iteration of Hewitt's company advocating for the nuclear power proposal. Last year, IP3 told The Washington Post that Flynn was offered a role in the company but never formally came aboard. 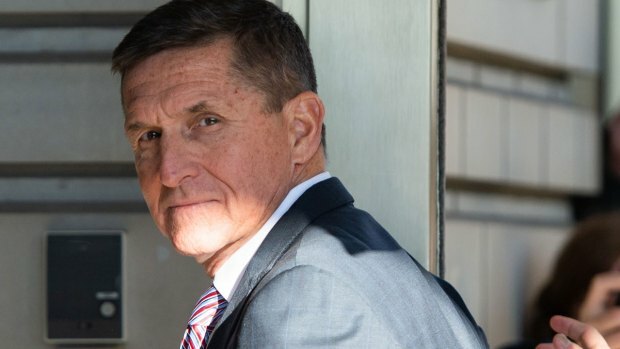 On Tuesday, the company said Flynn "was never an advisor to IP3 or its affiliate, he had no stake in the company and was never compensated or reimbursed for expenses by IP3." 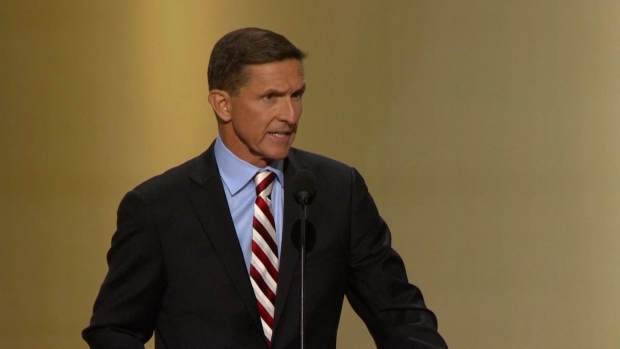 Just days after Trump's inauguration, the company sent Flynn a draft memo for the president's signature that would have appointed Barrack as a "special representative" in charge of carrying out the nuclear power proposal and called on the director of the CIA and the secretaries of State, Energy, Treasury and Defense to lend him support. The report also quotes former Deputy National Security Adviser K.T. McFarland as saying Trump personally told Barrack he could lead the plan's implementation. Even when H.R. McMaster, who replaced Flynn as national security adviser, and NSC lawyer John Eisenberg directed that work stop on the proposal because of concerns about its legality, Harvey continued pursuing the proposal, according to the report. Former national security adviser Michael Flynn has pleaded guilty to a count of making false statements to the FBI. He is the fourth person charged in special counsel Robert Mueller’s investigation into Russia’s involvement in the 2016 presidential election. Harvey was fired from the NSC in July 2017. He then joined the staff of GOP Rep. Devin Nunes of California, a Trump ally and the former Republican chairman of the House intelligence committee. Associated Press writers Darlene Superville, Ben Fox and Stephen Braun in Washington, Jim Mustian in New York and Jon Gambrell in Dubai, United Arab Emirates, contributed to this report.